This course addresses achievement for African-American students by describing the behaviors and interactions within urban African-American students. Planning lessons inclusive of African American culture and interests are presented. Teachers will examine the latest research as it applies to academic achievement amongst Afro-American students. Educators will learn about improving instruction and academic achievement for all students. They will research this issue and develop writings, lessons or activities for classroom application to help students become successful in school. 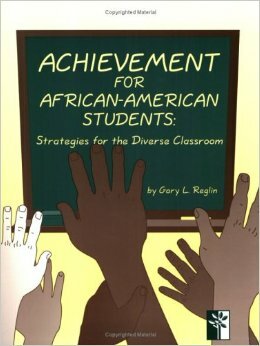 Teachers will develop a framework of knowledge and understanding of the various strategies for improving achievement for African-American students in the classroom and school situations. Educators taking this course will learn about planning lessons inclusive to Africa-American culture as well as capitalizing on student interests. Teachers will learn about the effective interactions with Urban African-American culture as well as awareness of African American gender issues. Educators will examine the involvement of African-American parents in their child's educational experience and ways to improve support for schools. Teachers will examine these complex issues and develop a lesson or unit plan strategies or activities in the book and how they can use instructional techniques for improving student achievement and behavior in schools.